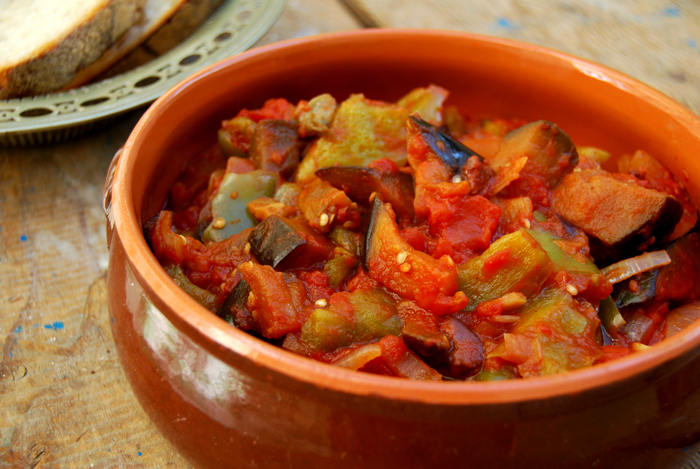 Kapunata, Maltese caponata, is another one of Malta’s delicious and famous vegetable dishes, a salad made of cooked green bell peppers, aubergine, tomatoes, coarsely chopped onions, capers, olives and garlic. It’s eaten warm or cold, with bread, on the beach or for lunch. There are many variations on this refreshing composition, some like to mix in swordfish or tuna and in Sicily, you find recipes which add raisins and pine nuts, or potatoes and carrots. I asked my Maltese Mama Jenny to cook her kapunata for us as this is her signature dish. Hers is chunky, thick and juicy. 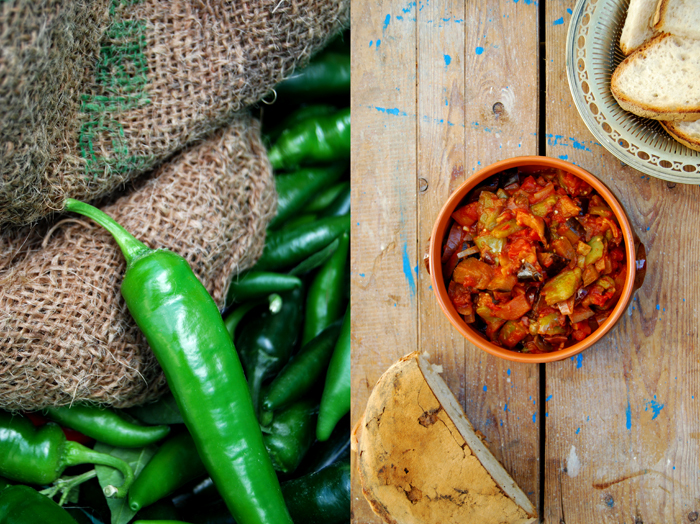 You can taste the strong flavours of ripe green bell peppers, grilled aubergine and sweet tomatoes. 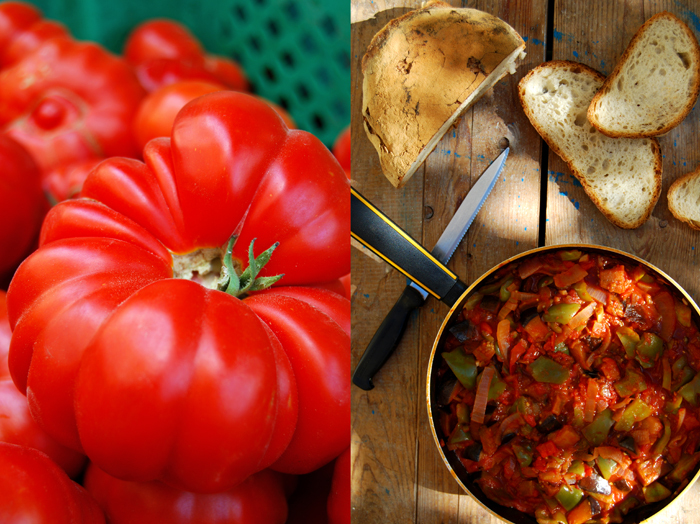 I love a big spoonful of it, piled on a crusty slice of Maltese bread, it’s heavenly! Jenny calls it “the taste of summer”! 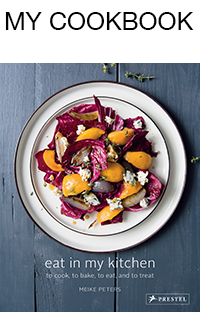 She prepares it in big batches and keeps it in the fridge for spontaneous lunches, or for one of her delicious beach Ftiras mixed with tuna. Her mother, Granny Edith used to cook it for her and she still does, Jenny actually prefers it when her mother cooks it as “mama’s cooking is always better”! Edith just leaves out the aubergine. I loved to see Jenny cooking her kapunata, she stood at the gas cooker with her Tweety apron on and a big smile on her face, stirring the vegetables once in a while. This picture in my mind made the kapunata taste even better! Before we could start cooking I went to my vegetable man Leli to buy the fresh ingredients. Twice a week, he parks his van filled with the freshest fruits and vegetables in front of a beautiful pink oleander tree in the middle of Msida. Leli grows his vegetables in his fields in Buskett and Rabat, in the centre of Malta, and for 28 years he’s been offering his harvest at this exact corner in Msida. 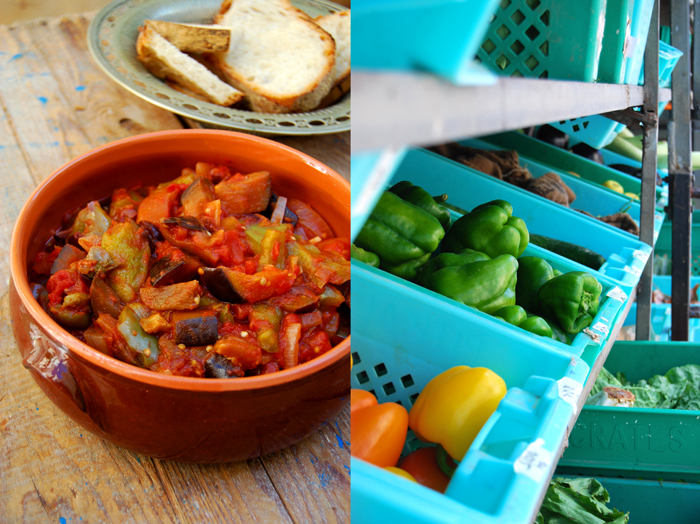 He fills his green boxes with Qarabaghli (zucchini), aubergine, tomatoes, cucumber, various peppers, Maltese figs and peaches, the most aromatic herbs, and so much more. He’s my favourite farmer in the world! As soon as he saw us coming around the corner, his face lit up! We don’t meet so often, but over the years we developed a special bond with him, and it all happened over vegetables and fruits! To cook kapunata, it’s important to use only ripe vegetables to achieve a fruity and rich taste! In a baking dish, mix the aubergine with a splash of olive oil and put under the grill for a few minutes until golden. In a large pot, heat a splash of olive oil and sauté the onion and garlic on medium heat for a few minutes until translucent. Add the bell peppers, cook for 2 minutes and add the tomatoes and grilled aubergine. Simmer for about 15 minutes until the vegetables are soft, stirring once in a while and adding a little water if the mixture is too dry. Add the tomato paste, capers and olives, season with salt and pepper to taste and cook for further 5 minutes. Serve hot or cold with sourdough bread.